Winn-Dixie Circular Oct 29 - Nov 4, 2014. Halloween 4 Day Sale! 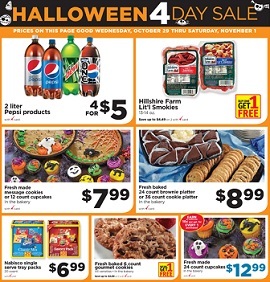 Winn-Dixie Circular Oct 29 – Nov 4, 2014. Halloween 4 Day Sale! – $2.48 Nabisco Snack Crackers; 10 for $10 Winn-Dixie Saltines or Oyster Crackers; and much more.